Spices can offer a boost of flavor to your food. "Herbs and spices are almost like vegetables in concentrated form. They have tons of health benefits, healing properties, antibacterial, anti-inflammatory, and they are virtually calorie free," explained Juno Demelo, the nutrition editor for Fitness Magazine, Rochester.ynn said. Demelo helped outline health benefits of some simple seasonings. Oregano is one such spice that offers those benefits. "The fascinating thing about oregano is that one teaspoon has as many antioxidants as three cups of fresh spinach and research also shows it can help fed off the stomach flu," said Demelo. "Cumin is another power spice. One tablespoon has almost a quarter of the iron you need in a day. Iron is important for energy and immunity, and cumin has also been found to boost your brain power and memory." Cinnamon is another spice that offers powerful benefits. The antioxidant compounds in cinnamon can stabilize your metabolism by preventing spikes in your blood sugar. Studies have shown it can help reduce your risk of diabetes and heart disease over time. Cayenne pepper also has healthy properties. Demelo explained, "Cayenne pepper has a compound called capsicum. That's what gives it its kick, but it also fires up your metabolism. Helps you burn more calories all day. And one study shows that people who ate a little cayenne in one meal, ate 70 fewer calories at the next meal." A little nutmeg in your morning coffee could help reduce your risk of cavities. Nutmeg fights bacteria and can reduce plaque formation. According to some studies, it also helps stifle tumor growth. 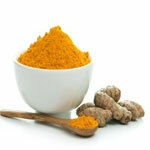 Curry powder is another spice that provides an extra health benefits. "So curry powder is a blend of spices. One of which is turmeric, which contains a compound called curcuman. It's 50 times more potent than vitamins C and E, and may help fend off breast, stomach and colon cancer," said Demelo. The next time you're cooking, keep in mind that spices could be the perfect ingredients for your health.